One of the greatest massacres in late Ottoman history took place in April 1909 when Armenians were targeted and subjected to two massive waves of violence. The massacres took place in Cilicia—in the province of Adana and in the surrounding areas—with an estimated 30,000 victims and significant material losses. Most Armenian historians consider these massacres to have been the prelude to the Armenian genocide of 1915. 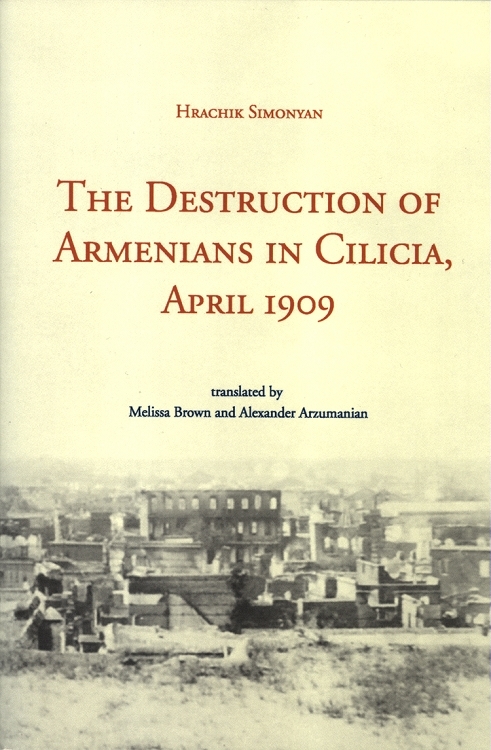 Hrachik Simonyan’s The Destruction of Armenians in Cilicia, April 1909 is a detailed account of the 1909 massacres based on primary and secondary sources written in Armenian. His work helps readers better understand the victimization of Armenians and the polarization of Ottoman society along ethno-religious lines barely a year after the Ottoman Constitutional Revolution—a revolution that brought the hope of social liberalization to Turks and Armenians alike.